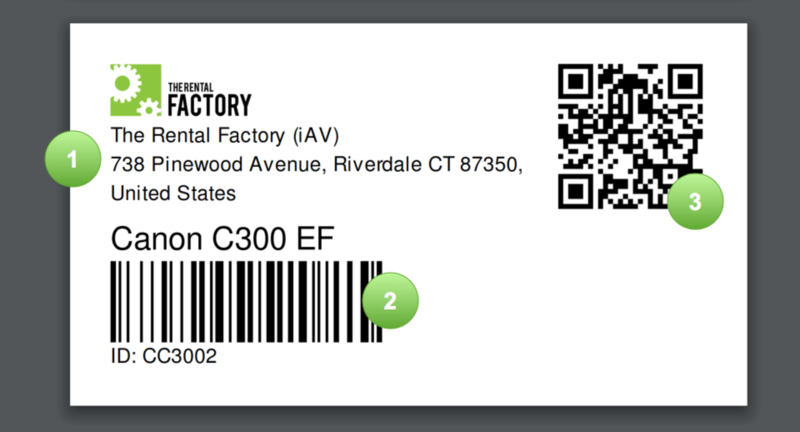 Start barcoding your products by printing barcodes straight from the product page. Speed up picking and prepping in the warehouse by adding barcodes to your products. Make sure you've added serialized assets or added a barcode against the product before beginning. For more, check out: How do barcodes work in Current RMS? 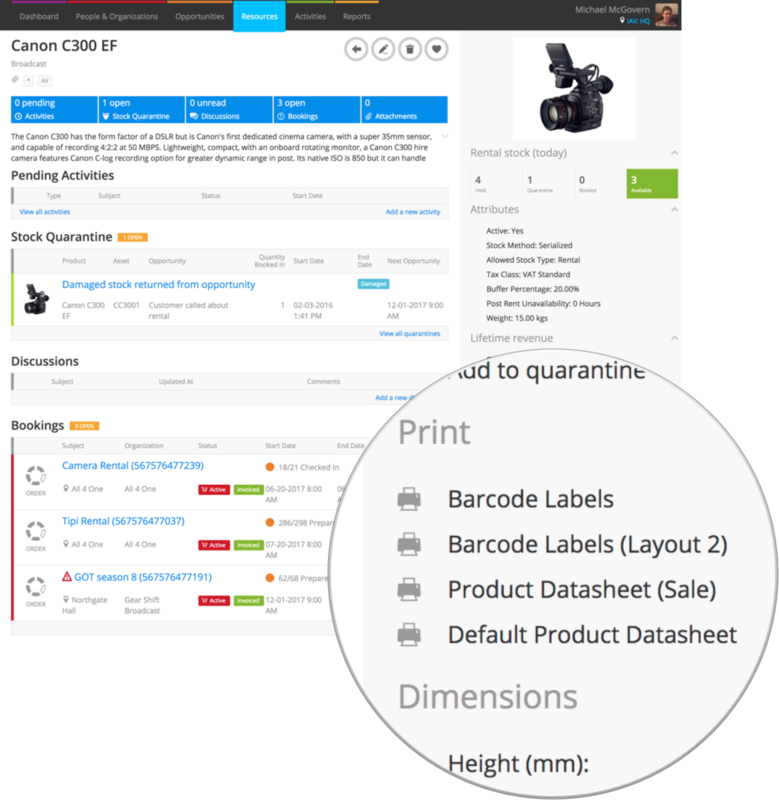 To print barcode labels, head to the page for the product you wish to print labels for. Available barcode layouts are listed under the Print heading on the right hand side. Your company logo, address, and asset or barcode number. The long barcode at the bottom is a machine-readable version of the asset number or barcode number set up against the product. Scan this to book out or check-in items. The square code to the right can be scanned with a QR code app and is a shortcut to the product page in Current RMS – great for pulling up all details about the product on your mobile device. You may also scan with a QR code scanner this to book out and check-in. To print, we recommend using the blue Download PDF button at the top. For serialized products, opening the barcode layouts from the product page will show all assets. If you just want to print a label for a single asset, find the asset in the stock level list and and choose View from the blue arrow menu. There's a link to print a label for that asset on the right-hand side of the page. Our default labels are 65 x 35mm, but if your labels are a different size or you'd like to customize the layout then they can be modified. Barcode labels are document layouts that can be changed in the same way that our quotations, invoices, and other documents can! Head to System Setup > Document Layouts and clone the document to get access to the HTML & CSS that makes it up. Check your printer layout settings to make sure that you've selected a page size that matches your label size. Ensure that your printer layout settings have the correct margins on them. Make sure that you've set up your printer correctly and have the latest drivers.